Are you ready to try out either some SnapSource metal snaps or plastic KAM snaps? I hope after Monday and Tuesday’s posts that were all about metal and plastic snaps, the tools needed to install each of them and information on where to get each of them, you may be considering adding some snaps to a project or two. I REALLY hope after Wednesday and Thursday’s posts showing you how easy both the SnapSource metal snaps and the KAM plastic snaps are to install, you are ready to add snaps to everything! Today, I am sharing a FREE pattern that has a snap! This pattern will be perfect to try out some snaps. Snaps always add a professional touch. As you already know from the previous posts this week, having the correct tools to install high-quality snaps can make the process easy and fun and . . . it doesn’t have to be expensive to get those high-quality tools and snaps! Okay, I will stop rambling on about snaps and show you the free pattern! 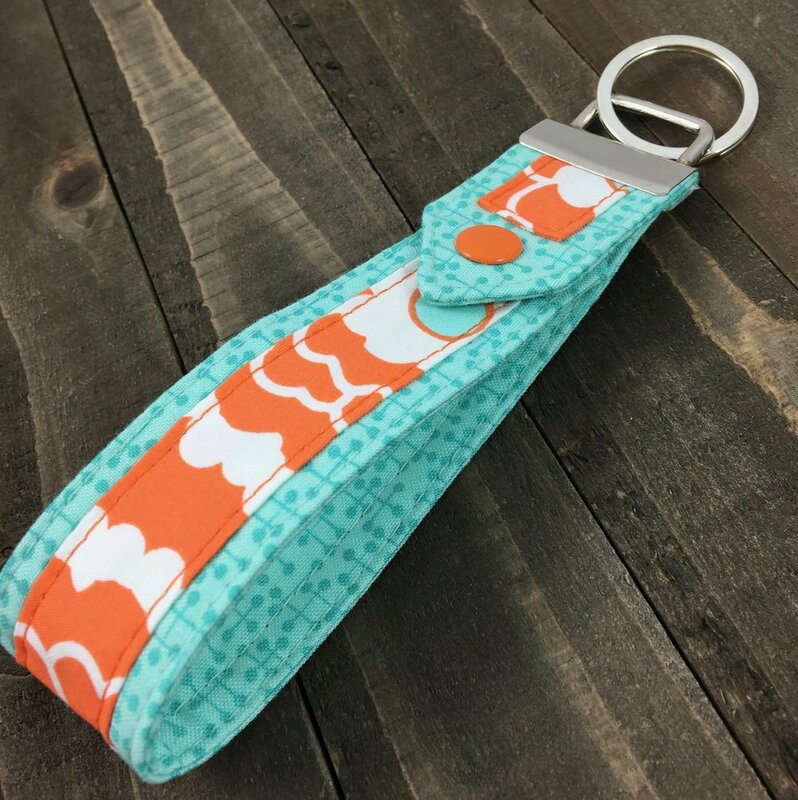 The Snap To It Key Fob pattern is easy and fun to sew! I think you are going to LOVE it! The snap on this is partially decorative, and partially utilitarian. Let’s face it, the snap is what makes this key fob look amazing, but now start thinking of how you could use the Snap To It Key Fob with its beautiful snap. Think of how nice it would be to be able to unsnap your key fob and put it on your purse strap, the baby stroller, your work bag, your belt loop, your diaper bag, your carry-on bag . . .
Before I give you the link for the free pattern, I want to remind you that there is one more day in the snap blog post series that you won’t want to miss! Tomorrow I will be sharing pictures of my testers’ amazing Snap To It Key Fobs. Check out tomorrow’s post to be inspired! Also tomorrow, I will share a little Uniquely Michelle surprise I have in store for you for next week, it’s something along the lines of a giveaway!!! 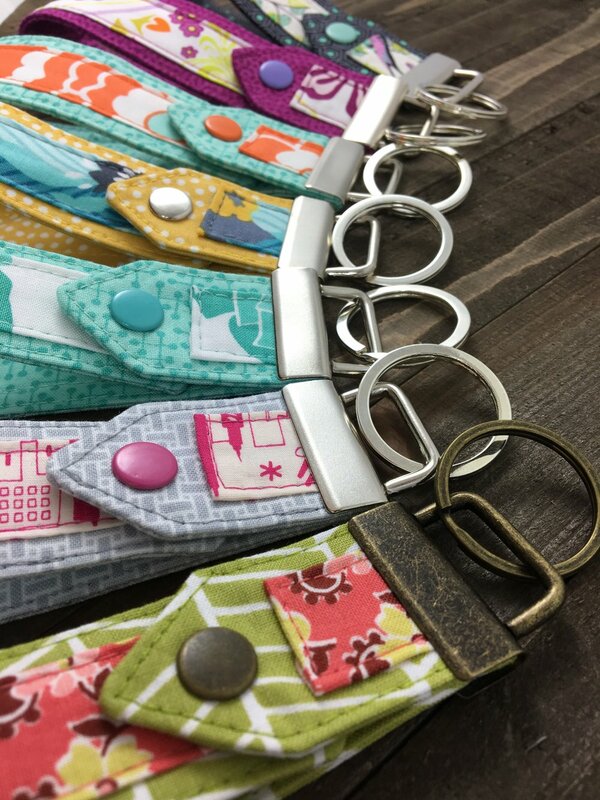 You can download the Snap To It Key Fob pattern, by going to either the Uniquely Michelle website shop or the Uniquely Michelle Craftsy Pattern Shop where you will find the pattern listed for free! Once you have made a Snap To It Key Fob, we would love to see pictures and hear all about how you feel about snaps! 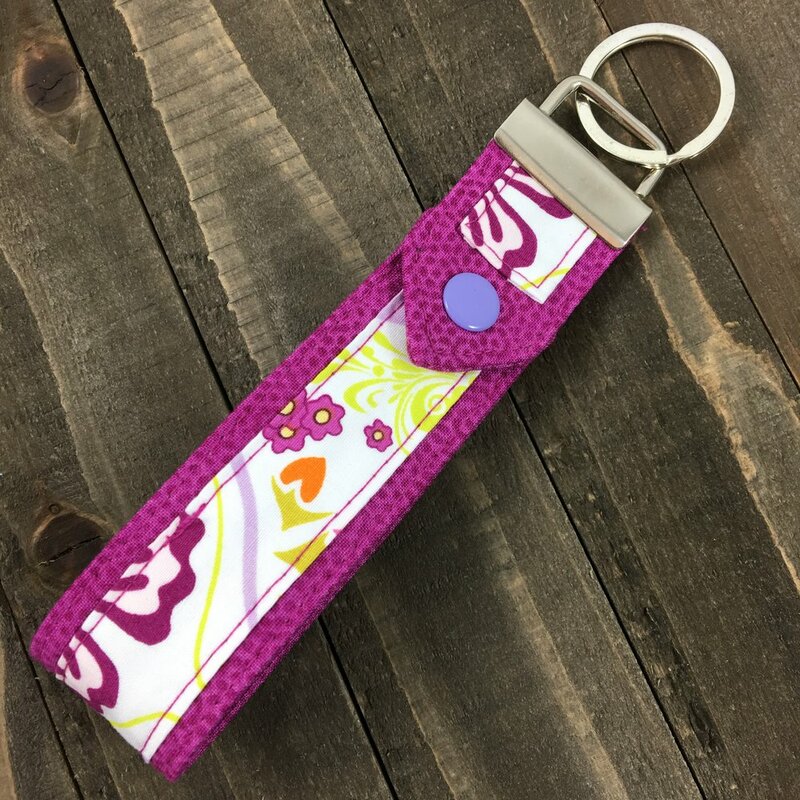 Please share pictures and tell us your experience with snap installation in the Uniquely Michelle Sewing Patterns Facebook group or on Instagram (use #snaptoitkeyfob and #uniquelymichelle so we can find your posts). As always we love to see your awesome creations! Sign up for the Uniquely Michelle newsletter below so that you can stay informed on all the latest happening at Uniquely Michelle including next week’s giveaway! Have fun sewing!